Throughout Iran, posters, videos and even social media posts have all been geared toward encouraging the Iranian people not to participate in the elections. These videos are focused on showing the support among the Iranian people, not for another election, but for the overthrow of the regime. There are also videos that have been created to document the efforts of these campaigns and show that they are located throughout the country, not just in Tehran or a few key cities. One video recorded throughout the country, including Tehran, shows various individuals holding up a sign that reads, “My vote: Overthrow the regime” in front of their faces. 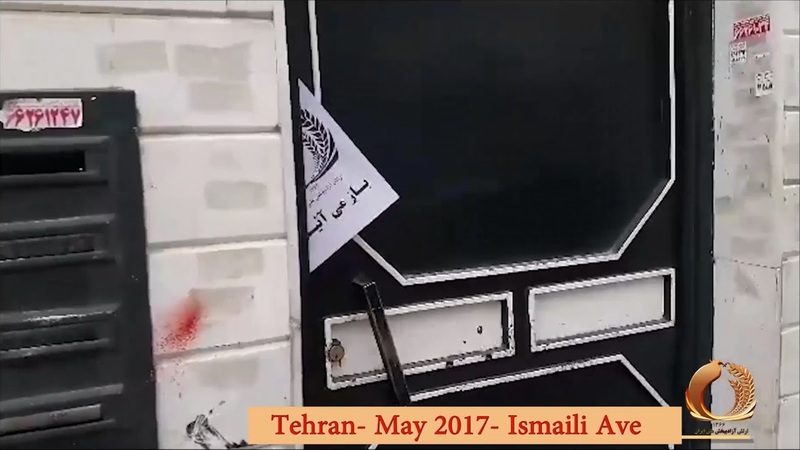 These videos were created by the members of the PMOI network inside Iran. Efforts are being made to reach as many Iranians as possible to encourage them to boycott the election. Throughout various cities, including Tehran, posters are being disseminated with various slogans. One of the slogans includes “My Vote: Maryam Rajavi”. Others encourage the overthrow of the regime and still others encourage the boycotting of the “sham elections”. All of them are part of a campaign by the PMOI and other resistance supporters to encourage the Iranian people to stand up for change. Depending on the slogan, the posters could include Maryam Rajavi’s picture or other symbols that have been associated with the resistance. Mrs. Rajavi is the president-elect of the National Council of Resistance of Iran (NCRI), which is a coalition of opposition groups who oppose the regime. Many of them have been driven out of Iran as part of the regime’s efforts to secure and maintain their hold on power. The posters, banners and the release of various videos have all been done to strategically be viewed by as many as people as possible before they were found and removed by the security forces of the regime. A number were placed at night, so they would be seen by the morning crowds commuting to work. They were put on bridges, in various walkways and even up on billboards. These campaigns are a threat to the regime, as they call into question the actions of the regime throughout the years. Even Rouhani, who has been dubbed a “moderate”, is still active in allowing executions to continue of various individuals who have been convicted for political or religious leanings outside of the parameters set by the mullahs. Despite warnings and efforts by the regime, it is clear that these campaigns are taking root and making an impression on the Iranian people. Social media is buzzing and the Iranian people are waking up to the realities of life under the mullahs and how little it will change after this election. Previous The Democratic party is wilfully pushing the wrong narrative about Hillary’s loss, and that could be fatal for the party’s 2020 chances. Next Freedom in America; figure of speech or reality?